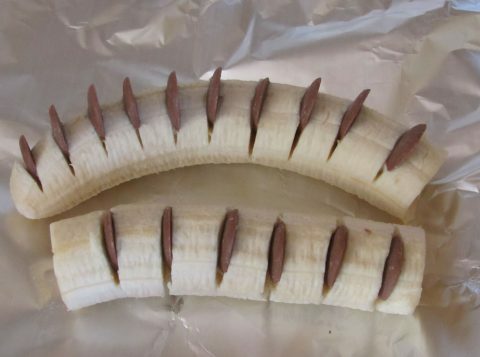 Peel some bananas, then make incisions every 1cm or so but do not CUT all the way through. Then insert milk chocolate buttons into each incision. Cover them in baking foil and then place on the barbecue for around five mins. Serve with Cream or Tia Maria. Caution these will be hot!